作者: Amiira Ismail on 1 February , 2017. I am sure as everyone has heard about the recent decision of President Donald Trump’s “Muslim Ban”. This atrocious decision, which has been made on last week’s Friday, is to indefinitely suspend the resettlement of Syrian refugees and temporarily ban people from seven predominantly Muslim nations from entering the United States. In a campaign statement, he said a “total and complete” shutdown should remain until the US authorities “can figure out” Muslim attitudes to the US. 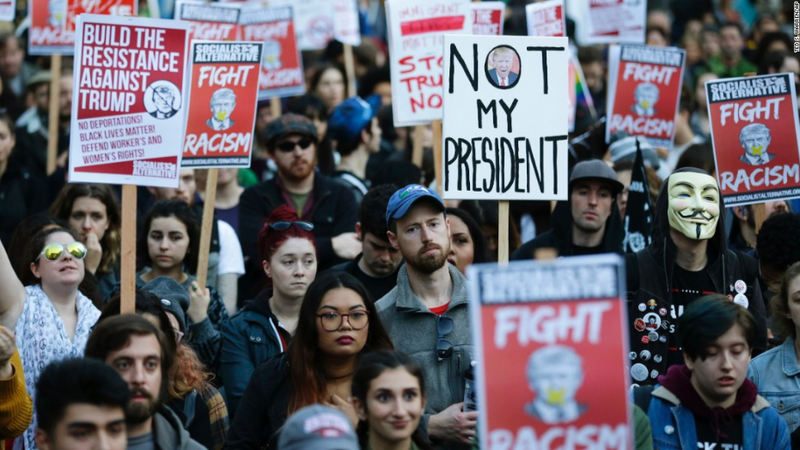 Now remind it has been 11 days into Donald Trump’s Presidential term, and he has already caused a quite the ruckus and outrage amongst the people nationwide. 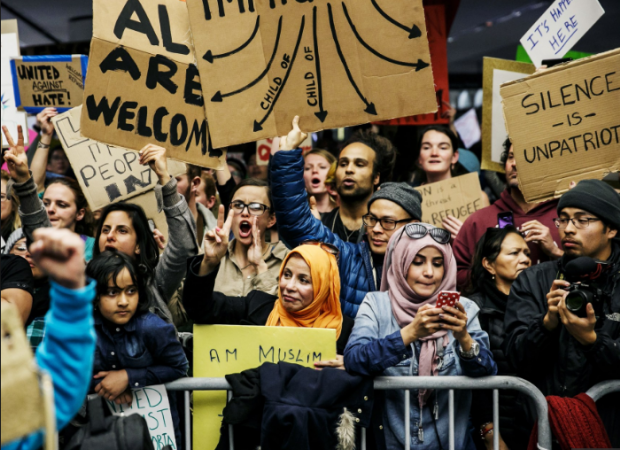 President Trump’s travel bans on people are from seven largely Muslim countries, which have grown in size and scale. These seven countries are Libya, Yemen, Syria, Iraq, Iran, Somalia, and Sudan. An executive order is an official statement from the president which tells government agencies how to use their resources. In the case of President Trump’s “Muslim ban”, the order bars citizens of seven Muslim-majority countries from entering the US for a period of 90 days. It also suspends the United States’ refugee system for a period of 120 days. The former president’s spokesman Kevin Lewis said Mr. Obama disagrees with discrimination against people based on their religion. Mr. Lewis said: “President Obama is heartened by the level of engagement taking place in communities around the country. “In his final official speech as President, he spoke about the important role of citizen and how all Americans have a responsibility to be the guardians of our democracy- not just during an election but every day. Citizens exercising their constitutional right to assemble, organize and have their voices heard by their elected officials is exactly what we expect to see when American values are at stake”. After this atrocious ban, President Trump has been making some other outrageous decisions, like firing Sally Yates after she refused to comply with his executive orders on immigration, which makes him the second President in US history to dispense with his Attorney General. The other was Richard Nixon, eight months before he was impeached. Also, news just broke that he’s replaced the acting director of U.S. Immigration and Customs Enforcement. According to NBC, President Trumps move to replace Daniel Ragsdale came with no explanation. Thomas Homan, ICE’s executive associate director of enforcement and removal operations since 2013, will be stepping in to take Daniel’s place.However, Even though Ragsdale has been replaced, he still has his full-time position as deputy director. 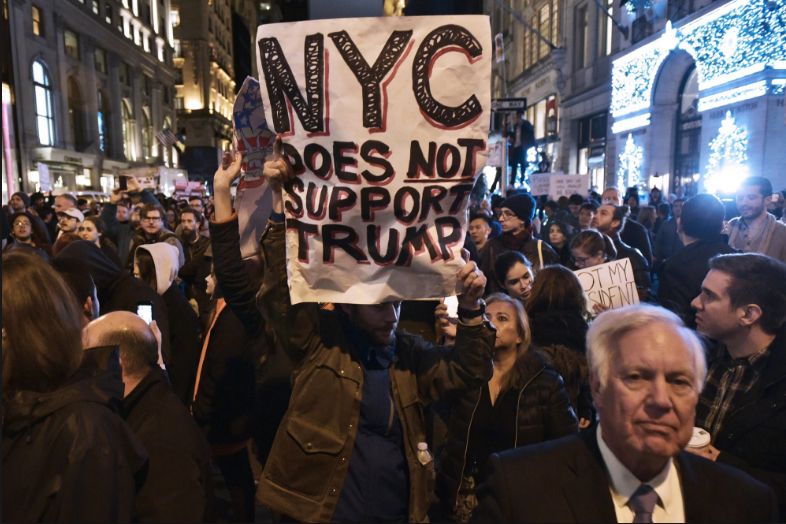 Check out some of the protests against the “Muslim Ban” in different states in the U.S.